The most important parts of each learning level are the common areas, the areas where children and adolescents develop a dialogue and exchange, as it is important to integrate alternative activities into the learning procedure. The kindergarten is mainly approached through the notion of micro-scale, which is the most suitable for that age. A main element of interior organisation is the wall: a flexible structure that hosts storage, sitting and exhibition space. For the primary school, emphasis is given in the common areas : the school acts as a community. Activities such as the arts & crafts and the library are open and accessible all day long. The secondary school evolves around an interior amphitheatre, surrounded by atriums. 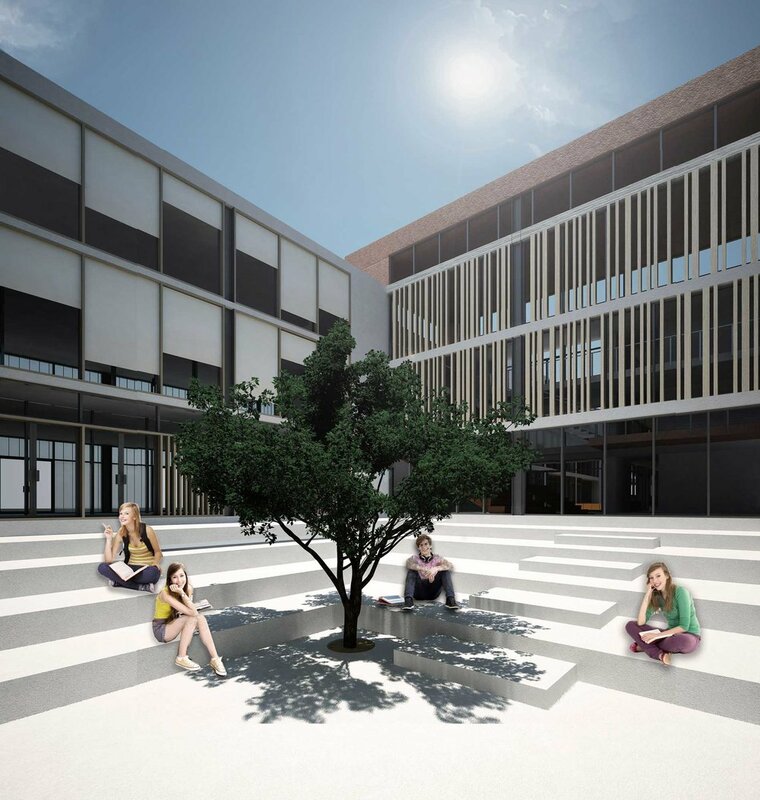 Excessive use of its terrace, as the library is placed among the planted roof, gives the chance to rediscover books, worlds and the landscape. Learning is considered as an active procedure and various activities stimulate this experience and the child’s inherent creativity and imagination. For philosophers of education, such as Dewey, learning should involve real life challenges and tasks : he pleaded for an experiential education. 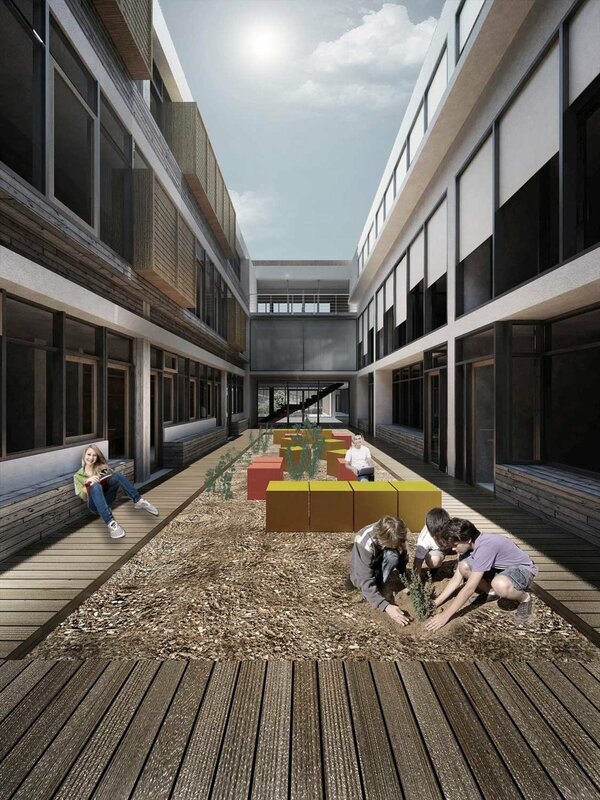 Through this approach, the classroom is no more considered as the core of the school, but rather the different activity areas and the outdoor space are the main learning places. The place of the student is also changing towards its relation with the teacher and the other students. Classes are becoming more collaborative, the notion of projects invites student to work in small groups and this is reflected in the interior organisation. The plan of the school is becoming flexible, classrooms can be combined into bigger ones, or open towards the common interior or outdoor spaces.